ENTOUCH provides its network of channel partners with a simple turnkey solution providing an application enablement platform with open APIs for advanced smart building management. ENTOUCH leverages an extensive partner ecosystem to deliver the most comprehensive smart building solutions to customers that own or operate a distributed portfolio of small to medium sized buildings in retail, restaurants, commercial real estate and more. Our technology makes collaboration simple for like-minded solution providers, CRE service providers and resellers. If you’re interested in joining our network of channel partners, click here to contact us. 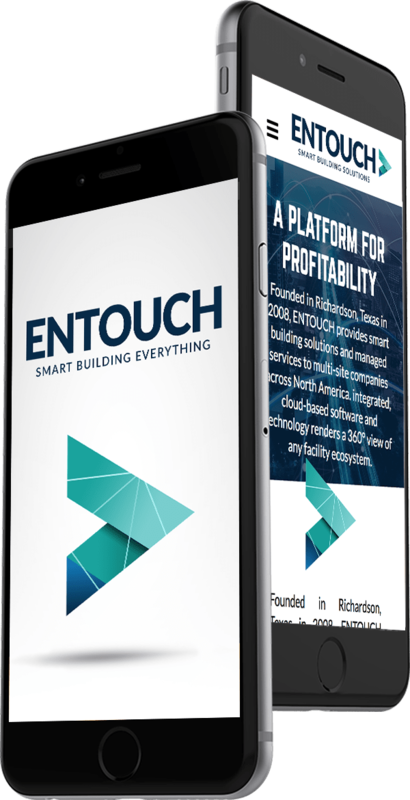 ENTOUCH is the domain leader in smart building solutions providing an Application Enablement Platform (AEP) for partners to easily connect multiple sites on one, easy-to-use solution with the analytics critical to facility management, asset optimization, better capital planning and more satisfied tenants and end users. The platform provides the tools for partners to deliver continuous data-driven value to their customers. Using the ENTOUCH.one platform partners gain access to patented technology for quick and easy guided commissioning and installation via mobile applications. Significantly improve the quality of installations, while reducing the time to install and commission. The software is also fully extensible with open APIs for connecting everything in the building for total facilities intelligence. The ENTOUCH.one is fully extensible with flexible APIs for real-time and historical data retrieval, real-time control, and integrating operational processes, like Work Order and Case Ticketing creation of equipment in the building for total facilities intelligence. 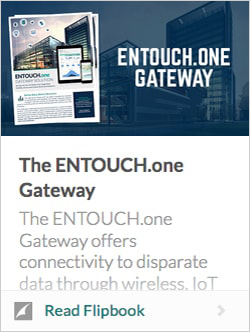 The ENTOUCH.one Gateway allows connectivity to existing controls or systems, giving customers deep visibility into the business with a single source of the truth.